AMT is proud to present a glamorous Country lineup for fans this year! In 2018, we’ll have nearly a dozen country shows from current favorites to classic tributes. Get ready to give a Grand Ole Opry welcome to these Country legends! The Charlie Daniels Band, best known for their hit song “The Devil Went Down To Georgia”, returns to AMT this March! Their unique mix of country and Southern rock will have spectators bopping in their seats along with the music. Headed by the extraordinary fiddler, Charlie Daniels himself, this show is a must-see for fans of the band and the genre alike. Mark your calendars for March 15, and prepare for a fiddlin’ frenzy! Known for their upbeat country music and four-part harmonies, The Oak Ridge Boys are bringing award-winning hits to the AMT stage. 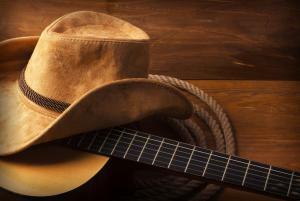 Their band is the stuff of country music legend. Once emboldened by the Man in Black himself, Johnny Cash, The Oak Ridge Boys have been thrilling audiences since 1973 – including five presidents. Known for their songs “Elvira”, “Dream On”, and “Bobby Sue”, these performers will have you clapping your hands and singing along on March 17! Fans of Nashville will recognize the star-studded duo of Clare Bowen and Charles Easton in this live rendition of the show. Since 2012, Nashville’s critical acclaim has garnered a loyal following. And now, they’re taking their signature Southern sound to the stage in Stars of Nashville! If you can’t get enough of that Country swoon, mark your calendar for March 24. Mickey Gilley, with his renowned Country-crossover style, and Johnny Lee’s smooth vocals are reuniting this June at AMT! Gilley’s 16 #1 country hits include “City Lights” and “True Love Ways”. Gilley’s “You Don’t Know Me” and Lee’s “Lookin’ for Love” play a central role in Urban Cowboy’s fame. The Urban Cowboy Reunion Tour will bring all the charm of the classic movie to the big stage this June! Two Country superstars, Marty Stuart and Connie Smith, will join forces for one blockbuster show at AMT! Stuart’s honky tonk and rockabilly fusion has been leaving fans breathless since 1985. His hits such as “Hillbilly Rock”, “Little Things”, and “Burn Me Down” won him five Grammys and a spot on the Grand Ole Opry. Smith’s “Once a Day”, “Just in Time”, and Ain’t Had No Lovin’” jettisoned her into Country legend status – and the Country Music Hall of Fame. Their combined talents will captivate audiences in May! No matter what type of Country music you prefer, the AMT stage has something for you in 2018. You won’t want to miss what these superstars have in store. Make sure to mark your calendars now and to order your tickets!